For shiatsu course dates, please go to our Course Calendar page, here. Please click on the buttons above to find the course curriculum and class dates for people, horses & dogs from 2013-2015 (they will open as pdfs). Shiatsu is a sister therapy to Acupuncture. Instead of needles we use our hands, using pressures, stretches and articulations to bring about beneficial changes. The touch is gentle, using only our own natural body weight for pressure. ‘i-atsu'(TM) is the trade name given to the human work and syllabus and the animal work appears under the trade name of ‘shi-animal-atsu’(TM). This will identify what type of shiatsu you have received or studied and with whom, as there are around seven or so different types of shiatsu around the world. For thousands of years Shiatsu Therapy has been used for the benefit of people. In 1983 it was pioneered onto horses by the late Pamela Hannay from the USA, and in 1998 it was pioneered onto dogs by Jacqueline Cook from the UK. In 1996 it was Jacqueline Cook who brought Shiatsu Therapy for Horses with Pamela Hannay from the USA to the UK. In 2008 Jacqueline Cook remarried to become Jacqueline Molony. After numerous years practising Ohashiatsu from which she qualified and graduated, Jacqueline went on to develop i-atsu as a natural progression from her original studies. Today the UK is the only country in the whole world that has seen such a growth in Shiatsu Therapy for animals. One reason could be that it is perfectly safe for even beginners to use with its non invasive techniques, giving no side effects and allowing it to be used alongside conventional medicine. Another reason for the growth in Shiatsu Therapy for animals in the UK is Jacqueline’s great desire to continue to spread the word through talks, lectures, seminars and demonstrations. If you wish to have a talk or seminar near you, then please do call us on 01547 530871 where we will be more than happy to organise one for you (a minimum of 10 people is required). Please click on the links below to find out more how i-atsu and shi-animal-atsu (shiatsu) can help you, your horse or dog; treatments and courses are available whether you wish to practice on your family and friends and their pets or you wish to take it to practitioner level to undertake as a career, changing not only your life but also the lives of others. A style of shiatsu developed to get to the root cause of your problem very quickly. i-atsu for people and their experiences, and the results they have had. A style of shiatsu developed for horses to do more than just relieve pain and unexplained unsoundness, it has been developed to alleviate the problem causing the pain to maintain peak performance. Frustrated horse owners who have put Shi-animal-atsu for horses to the test. For many of these horses and their owners these treatments were the last resort. A style of shiatsu developed to rebalance the dogs body emotionally, physically and mentally seeking the root cause of unexplained lameness and training problems. Some wonderful case studies where owners have chosen to use the treatments as an alternative to medication. For some student case studies please visit the course page. Here you learn about Jacqueline Molony’s involvement in the profound history of animal shiatsu and her determination to change the veterinary world and the history of shiatsu for horses and dogs forever. All those important questions answered regarding treatments and courses, and should there be a question you have but could not find the answer please do email us through the contact page. 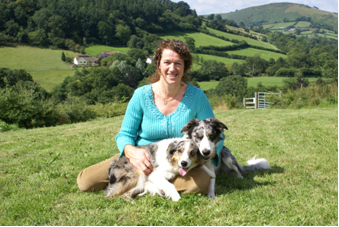 Find out more about Jacqueline Molony and how she has become one of the most profound healers for people and animals of today.